There’s been a big boost to the movement towards deposit alternatives in the private rental sector following a survey released this morning by lettings agency Your Move. It says over half of tenants questioned in a very substantial 3,752-person poll would be interested in an alternative approach to traditional tenancy deposits. 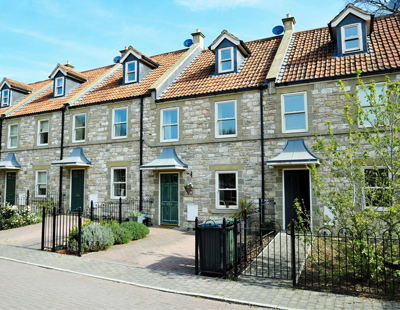 According to the Tenancy Deposit Scheme the average rental deposit in England and Wales is currently £1,110 - however, in some parts of the country a deposit can be many times that amount. Of those surveyed by Your Move more than half who were considered to be either Budgeting Families (defined as those aged between 25 and 44 years with children at home) or Reconciled with Renting (aged 45 and above and who are most likely to be renting due to a change in personal circumstances) were interested in alternative deposit schemes. Critically, 70 per cent of those questioned said they would be influenced by the choice of such schemes when deciding whether to rent a specific property. “There is clearly demand for an alternative to cash lump-sum deposits. With more and more people now choosing to rent, it’s increasingly important that lettings agents are able to cater to tenants of all types, providing them with both choice and flexibility” says Helen Buck, executive director for estate agency for Your Move’s parent company, LSL Property Services plc. One of the major deposit alternative providers, flatfair, has responded to the survey. Its founder and chief executive Franz Doerr says: "It’s great to see this shift in the property market and that landlords are finally offering their tenants more choice. As the most affordable alternative in the market, flatfair enables tenants to rent deposit-free by only charging tenants a small membership fee. Additionally, flatfair don’t charge renewal fees which means two out of three tenants are opting for the flatfair alternative versus paying a traditional deposit." No doubt the same answer would be elicited if buyers were asked a similar question. "Would you take a mortgage if you didn't have to contribute a penny?" We all remember how the 100+% mortgages worked out! This article is in the words of Monty Python - 'a statement of the bleedin obvious'.